When WSPC the “home of the world’s smallest pc” needed a new website they had no hesitation in putting this important project to the incumbent web development company Toucan Internet. Toucan Internet has looked after WSPC for many years and by consistent online marketing have secured good footfall to the site of relevant visitors looking to purchase, be they individuals or, more the norm, organisations looking for multiple purchases. The website creative design immediately shows the visitor applications for the small PC’s so putting the product in context visually as soon as it’s glimpsed. This is very powerful for convincing relevant visitors to stay on site when they arrive from a search result. Understanding buyers’ needs, we grouped the products into subcategories so that only the correct products are shown that meet the customers’ needs. This therefore makes it easy to select the most appropriate PC before buying through the onsite checkout. The whole site is managed by WSPC using the Toucan Control Panel that makes complex updates to content and the shop a simple task. Heavily optimised for continued search engine success, coding is in place to trap anyone following a link to the old site so they are seamlessly delivered to the new site; it’s all too easy to forget the quality links old sites have when developing new. Toucan Internet is pleased to continue to contribute to the success of this long-established and well-regarded specialist pc supplier. To find out more about how Toucan Internet LLP can improve your online success, please feel free to contact Simon at the contact points below. Toucan Internet was delighted to collaborate once again with local coach hire company St Margarets. St Margarets provide affordable and luxury coach hire for group travel. In order to publicise this travel service, St Margarets commissioned Toucan Internet to construct a commercially successful website that increased their web exposure and assisted them with their business goals. 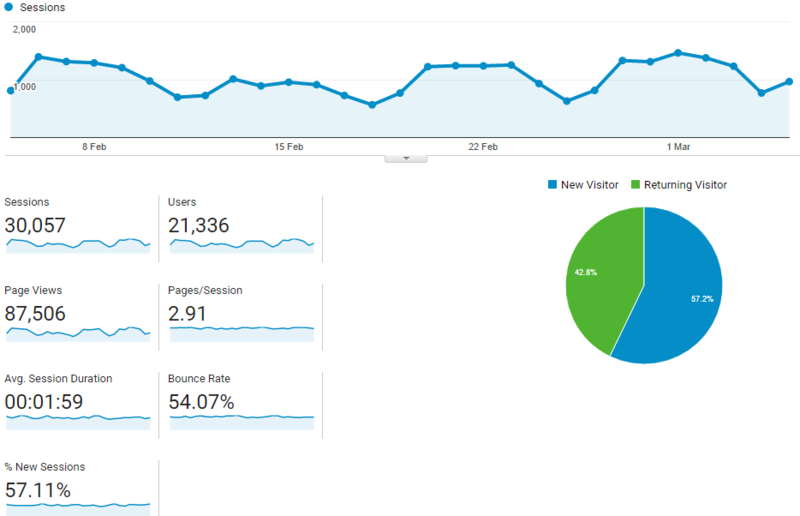 The key objectives for St Margarets coach hire website – along with intuitive aesthetics and functionality – was that the website was well optimised and Toucan’s approach has certainly borne fruit; after only a few weeks the website now appears on the first page of Google following typical and generic local searches. Toucan Internet is pleased to be able to contribute positively to success of this long-established and well-regarded professional coach hire company. How much web page text is required to please Google? 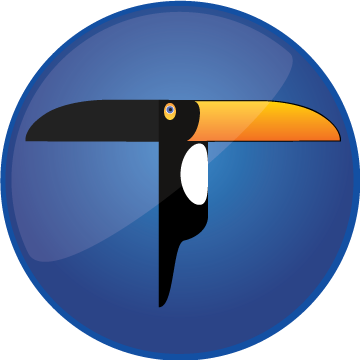 Having been optimising websites for greater search engine performance, whilst giving a quality visitor experience since the turn of the millennium, Toucan Internet has always favoured including text of reasonable quality and in modest quantity. 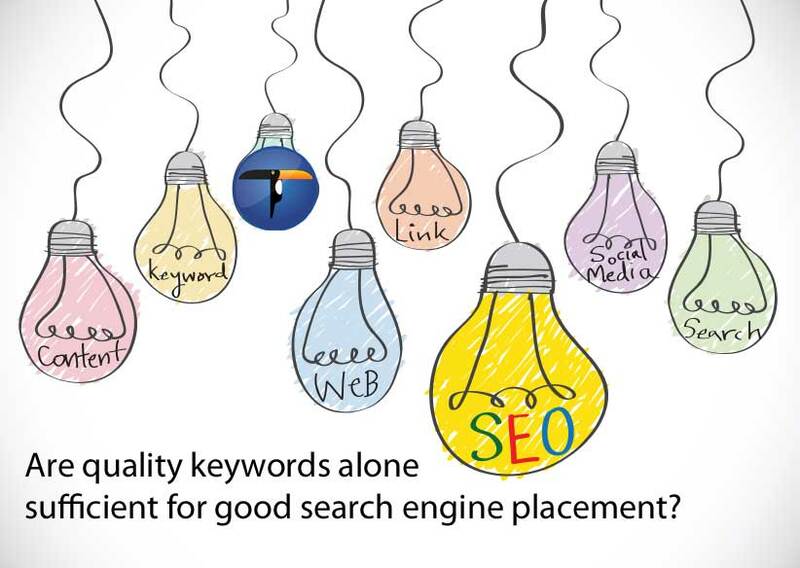 Reasonable quality in that it must be well written English, relevant to the subject, contain the researched keywords to an adequate frequency and be cross-linked within the whole website, or websites should the enterprise operate multiple websites. the human master needs to be provided sufficient text so that the reader gets adequate information but without presenting them with a wall of words and without flooding the creative design underpinning the visual attractiveness of your site. the search engines and Internet directories master that will drive large numbers of relevant visitors and customers to your site if it’s done properly. When developing websites that need good search engine returns we’ve always considered minimal text content to be a poor choice; after all Google and the other search engines read the words to classify your site so that they can recommend it to others and if you provide either too little content, or content with insufficient focus for that matter, the search engines will not be able to adequately index your site. As a consequence it will not rate or perform highly. The big question is “what is the right amount of content”. The simple answer is that from page to page in your website there really is no hard and fast rule as some pages will require masses of content and others quite a minimal amount to be fit for purpose. However we’ve found from many years of online marketing experience that the bare minimum to get noticed to any sensible degree is 100 words, however if it’s practical get this above 300 words. This article was written by Simon Thomas of Toucan Internet LLP who has been active on the Internet since 1995 and runs a number of commercially successful Internet projects. 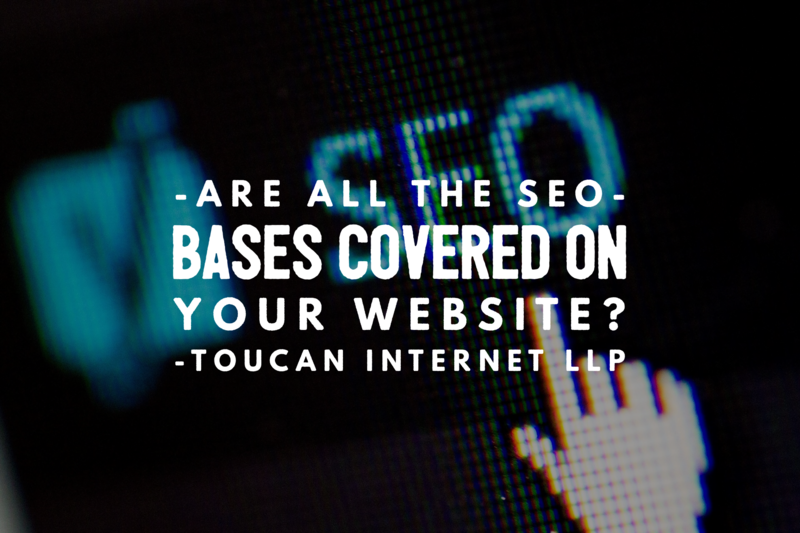 Toucan supports client’s web build to the correct standards, not just SEO, and maintains on-going search engine marketing for clients that value high performing websites. Copyright Toucan Internet LLP 2013©. All rights reserved. What is the difference between budget web hosting and business class web hosting? Many of the points detailed below are on a scale rather than being black or white when comparing one provider with another. For websites to work properly they have to have an adequate level of technical support at the time when it is needed by the developer and the business. Delays will hinder development and inevitably increase other operational costs. Toucan Internet’s quality standard is that you will be able to contact a human being who can understand and correct the issue you have or be just one step back from that person. You will always get a human being to talk to during normal UK office hours. We do not use automated call handling, just real people who care and invariable know you as a customer. We also have the patience to take the time to explain the details you need in plain English. This best summed up by one council who transferred all their hosting to Toucan Internet LLP from a budget web host provider because of the lost hours spent waiting in call queues and alike when technical support was required. They now simply call us and the matter is in hand. Out of hours we have a Support Request system in place http://toucanweb.co.uk/ti_status_request.php and a notification service for bigger issues at http://toucanweb.co.uk/ti_status.php. For businesses that require the best possible advantage with Google it is worth bearing in mind that one of the many criteria that Google uses to rank a website is speed of delivery of the web pages and their content. There are two parts to the speed of delivery, one is the quality of the website code and the second is the speed of the server and the supporting network. Our servers are right on the UK’s Internet backbone in a datacentre in London’s Docklands, affording our clients excellent connectivity. A number of our websites are in the top 5% of the world’s fastest websites as independently reported by Google. Economy hosting gives the provider a lower revenue and as such they have to max the servers to generate adequate return by putting as many customers websites on a server as possible. At Toucan Internet LLP our competitive business class rate means that we can balance the loads on our servers and keep significant resources in reserve. This is turn gives impeccable reliability and up time plus fast delivery of websites. Plus Toucan Internet LLP supports this with world class email security that screens inbound mail for Spam and viruses including providing an online quarantine box, white & black listing and a daily digest of your quarantine box. The need to configure your email accounts on your local business servers and devices is accommodated as Toucan Internet LLP has good working relationships with many local IT support companies and liaises with any IT professionals you may already have in support. If your web developer requires additional services, modules or configurations specific to a special requirement, then we accommodate this too, subject to a security audit of the solution. Simon Thomas of Toucan Internet LLP has 18 years direct marketing experience prior to embracing the new Internet marketing channels that emerged in 1995. 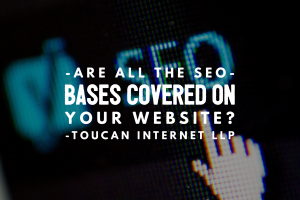 He heads the multiple disciplinary team of professionals at Toucan Internet LLP supporting clients of all sizes and markets where the client is looking for a professional Internet marketing partner with a long proven track record. Things to consider when redeveloping your website. There comes a time when the corporate website that once met all your criteria starts looking a little like yesterday’s offerings design-wise and is now missing the mark from a marketing perspective. Tell-tale signs may be subtle such as the visitors bounce* rate increasing as the website fails to convince visitors that you are a worthy offering or the signs may be more obvious in that the website is just not up to date with expected content such as social media integration, compliance with popular browsers and standards or being ready for the mobile market place. From experience the following is a consolidation of some of the points you may need to consider when undertaking the rework of your website. Define the objectives of having a website as once you’ve done this all the subsequent decisions you have to make fall in place as they are either in line with these objectives or they are not. On large projects there can be much detail that really must be concluded before the project starts. Once concluded the entire web development team will understand exactly what has to be delivered and when, and as the website owner you will also know that it will meet your defined objectives. The blueprinting process often opens up the minds to further specification improvements and content as it encourages all involved to review the finer detail of the website facilities. Websites that are properly blueprinted have always turned out to be good performers and the relationship between the development team and the customer has been excellent. Cost-wise; as the project runs to a mutually agreed plan there is far less scope for budget irregularities. When you put together your initial website, there would likely have been great thought and deliberation as to what was included and how. 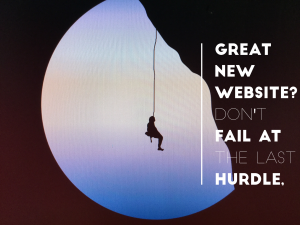 Despite the old website now looking dismal beside the competition’s new feature rich website, so many companies will totally disregard the good that is present in their old website. Be very careful not to “throw the baby out with the bathwater”. Apart from quality content that may need to transfer to the new website after reworking, the search engines and other referrers will have linked to the pages in your website. The Internet marketing team you choose for the next part of your journey needs to have a lot more bases covered than was the case a few years ago if you are to rise above the bland mediocrity of basic websites and have a true commercial success. This is the most subjective of all the components. Having a professional creative team that understands both design for web and the norms of your market places will undoubtedly make for a professional result that wins business. So many creatives are stuck in the “design for print world” and do not engage with the dynamic medium of a website. With dynamic new technologies such as jQuery and AJAX, webpages are written to dynamically change according to input giving more efficient pages and a much improved customer experience. The creative team will work with you and your developers to conclude the navigation tree so that your information is presented in the most effective fashion and in such a way that we lead the visitor through the punchy introduction via the convincers to the call to action. If that simple process is not instinctively engrained in the team’s approach then find someone else. Do not be wooed by a web development team that wants to build your website with some obscure technology. Stay mainstream with all your resources unless there is a very good reason why not to. If you go “off piste” then you’ll find that there are fewer developers prepared to take your website on with a technology that they do not support and fewer pre-developed resources online so you’ll be paying for bespoke development from scratch for new modules. Examples of mainstream solutions include Linux with PHP & MySQL or Microsoft with ASP & SQL. The possible routes to market online are now extensive and affordable to all. Have a sound plan in mind that will accommodate all channels including social media, newsletters/mailings, website news, blogging, article publication and other avenues that fit comfortably in your marketing mix. Importantly remember that your website and online marketing are not to be done in isolation and absolutely must seamlessly integrate with your internal systems and traditional marketing. Choose a web development team that understands the benefits of combining multiple channels of communication and better still offers them. The opt-in newsletter/mailings can be extended further by adding an autoresponder series so that your worthy pre-prepared messages are delivered periodically to your schedule. Once a website is launched the online marketing offered by your web development team should monitor performance in line with the client’s objectives and the Internet norms and in turn make website changes according to the feedback received. Continuous improvement and following marketing opportunities are key to keeping your website commercially successful for years to come. Keep testing, measuring and improving. Budget hosting should be avoided; slow servers that are maxed out for profit will cost you dearly. Slow delivery of website content not only turns visitors away but also has an effect on your Google ranking. 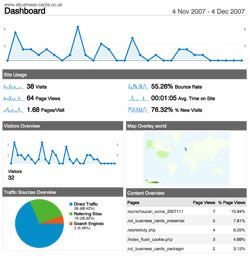 Your web development marketing company should be monitoring this as one part of your search engine marketing they do for you. These are just some of the key elements from 16 years of experience and worth considering when redeveloping your website. What is Google Panda and what does it mean to your business. In this post I intend to give you a quick overview of what the Google Panda / Farmer update is and how it could affect your online marketing and SEO. The first thing you should know is that Google has a set of rules called an algorithm for returning search results. You can split it into two parts. The first part returns all of the pages that are relevant to your search term and the next part ranks them in order of relevance to your term. This is intended to return web pages that you will be interested in on the page one. The Google Panda update is a change to the way the second stage works. Google has implemented Panda to try and make the way that web pages are ranked more relevant and so delivery better results to you when searching. Why have Google implemented Panda? Duplicate content. For example, thousands of Spam pages summarising and linking to an article to boost its ranking. Spam content. 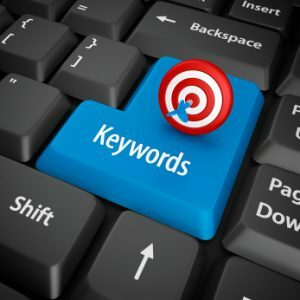 For example, web-pages containing a meaningless combination of words that has been specifically tailored to rank highly on search results but that is unreadable; often with the goal of making money through advert clicks. Google is always changing their algorithm to try and make search results more relevant. The reason that Panda has had such media attention is due to its level of impact. Google suggests that the change will impact “11.8% of our queries” (a query refers to a single Google search), which is quite significant considering that Google suggested in 2008 that there were 1 Trillion unique web page URL’s. No doubt this has increased since then. I reference URL’s instead of pages because it is part of Google’s algorithm to evaluate which URLs point to relevant new content vs. repeat content. Google will never tell the general public the exact working of its algorithms. All they will tell us is the effect that the algorithm is trying to achieve. In sort the algorithm change aims to identify Spammy duplicate content. The ultimate goal is to penalise content farms and Spammed back links. Do you have an online SEO strategy that involves Spam’like or automated processes to generate back links and content? Chances are that this is the type of thing that will be penalised. Google wants you to be creating content for humans to read, not search engines. In some situations Google will also use information regarding the sites that users block to influence how it ranks pages. How can I make sure my website works with change? Don’t create Spam content to try and hit search results. Write high quality tailored content that will be relevant to what a user would want if they arrived on your page from a search engine. If you are building back links then try to build them from quality sources that are relevant to the content of the pages that they are linking to. Remove Spam content from your website. If you have lots of Spam content on your website then there is a chance that Google could flag the whole site as a content farm. If you have multiple landing pages with tailored content then try and make sure that each page is relevant to the user that is likely to visit it; and if possible write something small and customised for every page so that Google can see that it has unique content. I would recommend that you take the time to read Google’s Webmaster Guidelines. They are very open about the standard of websites and the sort of content that they are looking to rank highly. Is this change a good one? This change is definitely one that I think is for the general good of the internet. It is going to drastically change the Spam building strategy that a lot of “SEO Specialists” employ and it will put a positive slant towards the SEO marketers who are gaining high rankings through quality copywriting. I would suggest investing time into writing high quality content is the most important thing here. If you would like advice in this area then contact us at any of the points below and we will get our professional web copywriter who specialises in writing content to achieve search engine performance to contact you. To find out more about how Toucan Internet LLP can influence your online success please feel free to contact Simon at the contact points below.